We all think and worry about Google's updates every year on year and constantly strive to get around it so that it does not affect or have a greater impact on our websites. 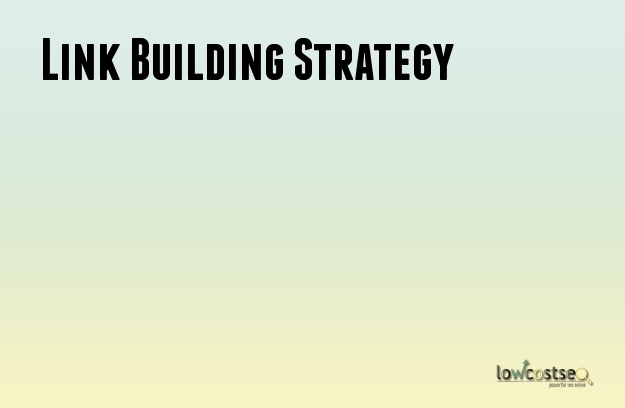 Now asking yourself this, is there a way to create a strategy in Link building so that you are not worried about the updates to affect your site ever again? See the Search engines have got really smart over the years with noticeable advancements in Panda and Penguin technologies that enabled algorithmic segmentation of good vs bad content and also linking sources too. The strategy stated in the ebook "The enterprise marketer's future-proof link building strategy: It says that SEO in a Post- penguin 2.0 World is well and truly future-proof because it talks about and aligns with the "why" behind search engine technology. Olden strategies are focused on the "what" factor, as in "What" in SEO changes faster then any other industry. By understanding the very reason on why search engines exist will allow your company or website to fix the puzzle on What of search technology and then position for long term success. The main objective of Search engines is to deliver the most appropriate and relevant content that solves the problems for the users. Creating content that helps in solving the users problems is just half way through the process. The users out there are not just going to locate the great content you create easily. One requires a strong media strategy to get your great content in front of a large targeted audience. You can also display or advertise your content on relevant websites to enable the fast discovery by the search engines. When such a process is carried out effectively, it can aid in building many links. At the highest level, this strategy consists of creating and the promotion of great content. The process (tactically) are broken up into four sections: Research, Promotion, Creative and Conversion. All SEO campaigns require a complete understanding of customer's requirements. An efficient and effective research process has to be in place to gather the knowledge required to develop unique content that will in turn educate and keep the attention of the audience. Blogs, social media marketing sites like Facebook, twitter, online media outlets will need to find genuine value in them. How to research online: - Use tools like Google Adwords Keyword Tool, Google Analytics, Experian Hitwise to collect information who your audience are and where they hang out. Content Generation: Now use the information to create ideas for your content that will educate and inform your audience. This process sets the main stage of success or failure of the link building process. The content of a website is the main holding point and most valuable too, if content is not informative or engaging then many media companies or personnel will not even share it. We advise in creating content that is simply brilliant and totally stands out from the rest of the crowd. Some tips about content designing and development : you should control the costs of your campaign, try to get the main guys within your industry involved in your campaign and finally make sure you always use professional copywriting services and design for your campaigns. As we said Content is King, then Promotion is the Prince. A link building strategy should always be focused on return of ones investment. Best way to jump up quickly or propel is to create uniquely written content that will give you visibility and place your articles infront of others. How to build a top quality article? - Well firstly make sure to include the best bits or highlights from your content, try to cut down the sales element in it and finally try to reach and network with the most relevant and important websites in your particular industry. There are a few short term returns provided by the link building strategy that should not be overlooked. Conversion as we know is the main goal for many webmasters, conversion goals such as leads, referral traffic are all achieved in the short space of time however the more difficult goals such as traffic goals take time to be met on the long run. Traffic goals are directly linked to the keywords goals as both need to function to get traffic. The most immediate goal is to convert users. See above a great infographic by 6SMarketing outlining the evolution of link building. It shows how link building has evolved from the early days of link building till today. Link building is an on-page SEO technique that you cannot be ignored if you are serious about improving your site's SEO. Link building will not only make your website discoverable/reachable on the web but also helps in generating leads, CTR, links with other publishers and establishing brand presence. All experienced webmasters know that natural link building is what search engines are starved of and you must find out ways to build natural links. As a newbie to this industry you might be confused about what is the right way to do so, please have a look right here! - When writing content for your website it is important to make sure list articles are created, For example, create “top 10 ways”, “top 50 techniques” like titles but with some variations to them. Everyone likes to read such articles/blogs with great interest and they too are quite popular on the web. - As a webmaster, you can use your website to develop helpful resources & tools so that visitors on your site can benefit from them. - It is important to add valuable, appealing and fresh content on your website as it will help in creating natural links. Adding interesting and engaging content will keep your customers (readers) coming back to read more and this will surely benefit your website in attaining natural links. - Make sure you submit your articles to top notch article submission sites such as EzineArticles, eHow, GoArticles etc. - Use Do-Follow article submission sites such as Squidoo, Tumblr etc to post your content and include your website links in them. - Create a list of emails that you have in your site database and try to offer something unique or free in terms of a product or service. This is one way for the users to subscribe to your service and you never know, they might link to your website too. - Am sure as Webmaster you might have come across various other webmasters emailing you with link exchange proposals to the websites related to your site’s niche. It is a good idea to try in finding sites with a high PR before sending out proposals. This will not only give you quality links but also improve your SERPs too. - You can start a contest on your website or via the social media and share wherever you can. If your content looks to be engaging and useful, there is a high chance it will become popular and thus aid you in attaining huge amount of natural backlinks to your site. - You can add debatable content on your website's forum or blog section where you can provide your own opinion about certain market products or services. This way you create an opportunity for a discussion where people will talk freely about their views too. It is good to write about the most recent trends in our society. - Did you know that apart from being just a reputable classified site, Craiglist offers some scope for link building assistance. For example, you can include your website link when creating an Ad description. By doing this, you can surely get a few visitors everyday from Craiglist too. Worth a try right! - We all know about sites that assist in answering any questions you have about virtually anything. Yahoo has a feature on the platform called Yahoo Answers which is a great option to generate some natural links if done correctly. Make sure you are not spamming and that your answer is in a description resourceful manner. Do not forget to place your link in the resource box. Make sure you answer as a third person and not someone whose trying to sell their website otherwise you will be flagged. - When we buy anything these days, we prefer to read the latest reviews about the certain products or services, therefore it is really important to write a review of a new or popular product on your website. Reviews can not only generate more traffic but also help in creating natural links too. Apart from the above, just make sure to check for any spelling or grammatical errors for all the content on your website. You can also build links by blog commenting on other sites that are related to your industry or niche. You can use video hosting sites such as YouTube in generating a decent amount of visitors to your website. Once your video goes viral then it will spread around the globe across all social media platforms. Ensure that your video is engaging, funny and is able to glue the viewers to the screen. Above is simple image via Slideshare showing the various techniques of link building that a new website can adopt from day 1. So, what do you think is the best link building technique in your opinion? What else worked for you? Please comment below!